The East Lake lays within the built up area of Wuchang that is one of the three component parts of the City of Wuhan. It has the distinction of being the largest inner city lake in China [33 sq km]. The project that we were presented with involves transforming the lake and its immediate hinterland into an attractive lake resort representative of the urban living style of Wuhan. Moreover, landscape and ecological considerations are to feature prominently in the UPAT’s proposals—lake and city, man and nature are to co-exist harmoniously. 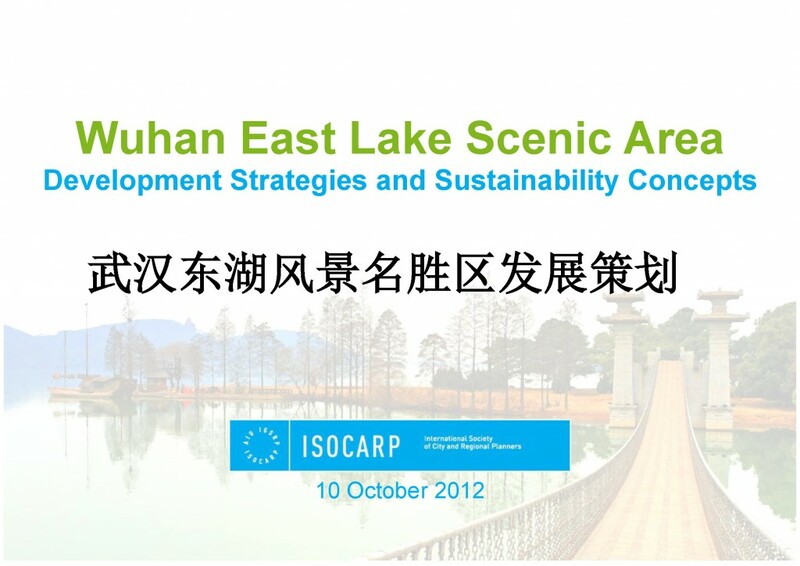 A team of experts of the ISOCARP, the International Society of City and Regional Planners, participated in an International Advisory Workshop for the Wuhan East Lake Scenic Area on 11-16 March 2012. 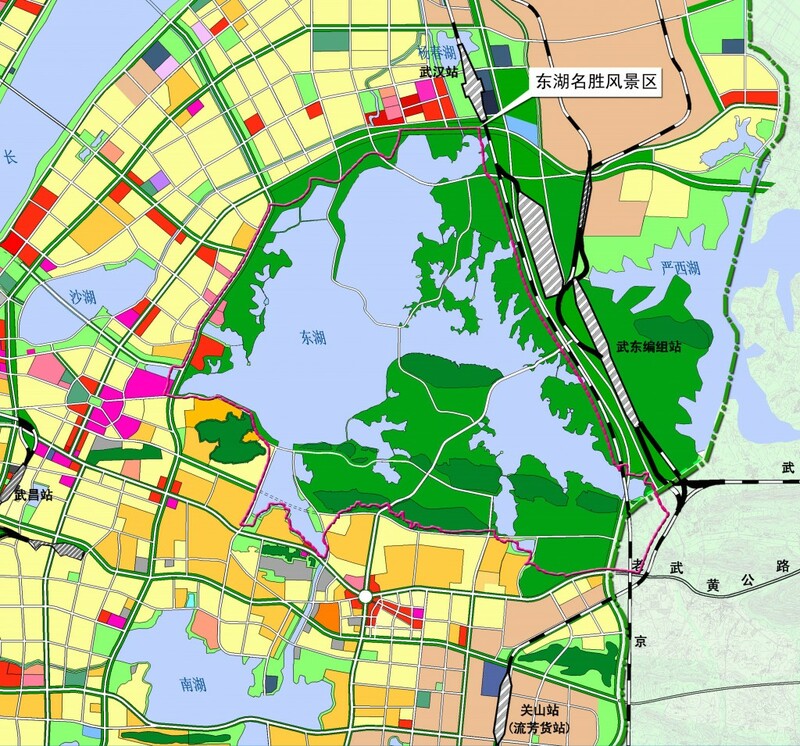 During that workshop the experts observed the field conditions in the vast planning area and were briefed about the objectives of the Wuhan East Lake Scenic Area. The ISOCARP experts carefully reviewed the plans, shared their experiences of related international practices, and initiated sketch sessions in which opportunities and threats of the planning area were discussed. 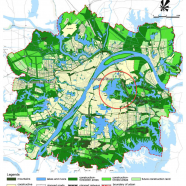 Plan and design the East Lake Scenic Area as an integrated system considering environmental, economic and social factors. Prepare a comprehensive vision that is based upon sustainable development principles. Collectively restore, preserve and manage natural and cultural resources, both tangible and intangible. Transition to a “low carbon community” through development standards and policies. Transition to a “smart community” through institutional guidance and technology. Balance ecological preservation with economic development so that both are complementary and interdependent. Create and promote a unique sense of place that can be expressed as an international destination brand. Make transportation intermodal with emphasis on public transit and low carbon mobility. Develop ecotourism as “responsible travel to natural areas that conserves the environment and improves the welfare of local people”. Develop tourism with experiential design by combining esthetics, entertainment, education and escapism. The East Lake Scenic Area is a beautiful place that Wuhan is rightly proud of and it deserves to become better known, both nationally in China, and internationally. We believe that the pursuit of a tourism strategy on the lines advanced by the UPAT would help establish the Wuhan East Lake Scenic Area on the tourism map, particularly given Wuhan’s new accessibility by high speed rail. Indeed, it is notable that Wuhan’s magnificent new station for these 21st Century trains stands on the very doorstep of the East Lake. How fitting it would be if this latest facility could become one of the main gateways to the East Lake for tourists! Indeed, transport, and the necessary connections between the various modes is one of the main themes of our report. Under our proposals for a network of water buses, the East Lake changes from being a barrier to movement to a transport medium providing many possibilities for new routes and for direct connections not possible before. We envisage these services as being run by electrically powered boats which would be both pollution free and extremely quiet, entirely in keeping with the tranquil character of the East Lake. And with suitable promotion and an appropriate East Lake design, they could themselves become striking symbols for a contemporary lakeside resort developed along eco-tourism principles. 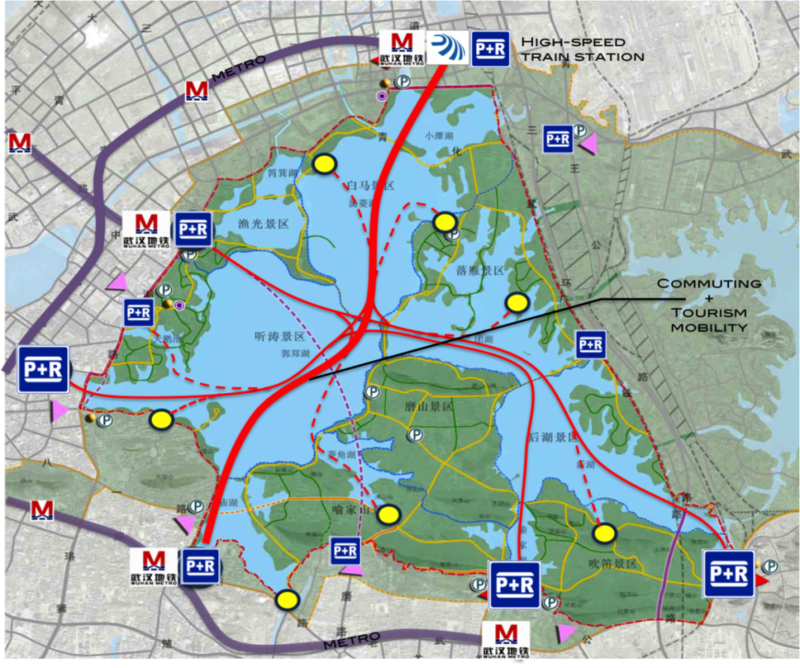 Our proposals emphasise and promote zero or low carbon transport for both recreation and general travel within the Wuhan East Lake Scenic Area; they include a network of carefully signed cycle and walking routes serving different parts of this extensive area. These ‘green’ transport forms are an integral part of the UPAT’s overall vision and strategy for the Wuhan East Lake Scenic Area which sees environment quality as of paramount importance. That vision combines aesthetic and ecological factors, both elements of which need to be safeguarded and upgraded and we propose an overarching environmental management strategy to provide the necessary direction. Among other things, that strategy would address the vital need for continued improvements to the water quality and ecological health of the East Lake. The enhanced tourism facilities that we envisage have the potential to create a distinctive lakeside resort that will attract many more visitors to the Wuhan East Lake Scenic Area and, indeed, Wuhan as a whole. They cater for more intensive forms of tourism in some existing centers but, in tandem with this, our proposals place substantial emphasis on the more contemplative forms of recreation which provide opportunities to get away from the noise and stresses of everyday life. These improvements for visitors will have to be achieved at the same time as the environmental problems of the past are being put right and new, higher standards put in place; that will concern both the built and the natural environment. In terms of new tourist development, and the necessary upgrading of the older facilities, this will demand an emphasis on the highest design quality and environmental performance. The challenge for the Wuhan authorities will be to foster the best development that is available and firmly to reject that which is bad or only mediocre. It will be through a firm emphasis on quality both in terms of the built and the natural environment that the East Lake Scenic Area will become established and known as Wuhan’s premier lakeside resort. On that basis, the Wuhan East Lake Scenic Area will be a place of distinctive character for Wuhan and its visitors in which tourism can co-exist harmoniously with an enhanced natural environment, existing communities and the cultural heritage.